The Watts C-Max Coconut Shell Carbon Block Cartridge is a top of the range extruded carbon block cartridges for superior Lead and Cyst Reduction which filters to 0.5 microns. It has a standard size small 2.5 x 10 Inch and will fit all standard 2.5 x 10 Inch filter housings. It makes an excellent upgrade to your existing carbon block filters for your under-sink water filter system or reverse osmosis water filter system. The filter is particularly good for Lead and Cyst (Cryptosporidium, Giardia) filtration but also for the bad taste and odours of chlorine as well as other impurities. It will also reduce many common particulates and impurities such as fine sediment, dirt, turbidity, lime scale, rust, sand, silt, VOCs, and more. The Watts MAXPB975 Coconut Shell Carbon Block has a thick wall with a solid carbon block and provides for a very low pressure drop (0.34 PSI) for more efficient and thorough water filtration. 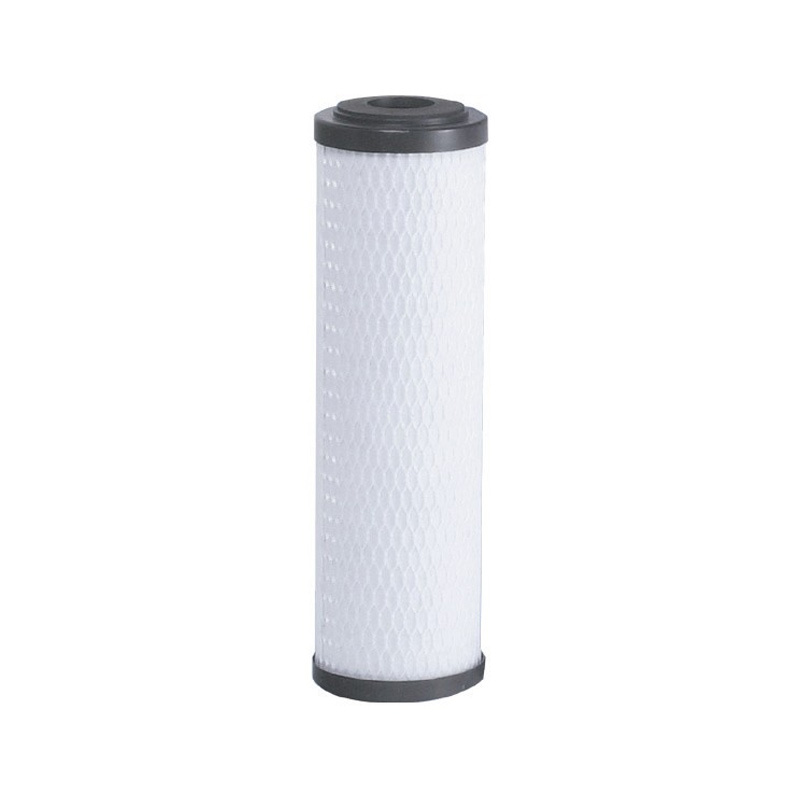 This Watts C-Max Series 10" coconut carbon block filter is a universally compatible replacement water filter cartridge for similar 10" filter brands. If in doubt just ask! C-MAX® carbon block cartridges are tested and certified by NSF International under NSF / ANSI Standard 42 for materials only. Performance claims are supported by company test results. Note: C-MAX cartridges are rated for temperatures to 165°F (74°C).